Uncap your FPS in Battlefield 5 by learning how to disable the V-Sync option. In conjunction with the release of Battlefield 5 on PC, gamers have been asking how to disable V-Sync. 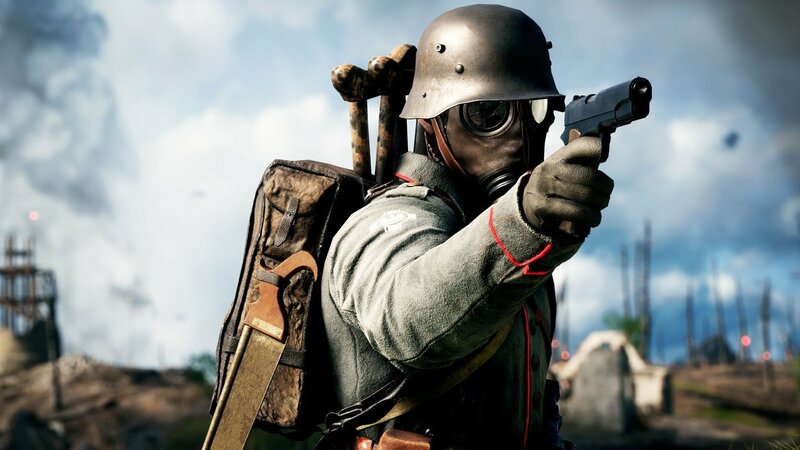 As many PC players will likely attest, games like Battlefield 5 can run with minor issues when you first load into them on PC. For example, having your FPS capped at 30 or 60 frames per second. To uncap FPS, you’ll need to find and disable the V-Sync option in Battlefield 5. To make this process as easy as possible, we’ve put together a quick guide on how to disable V-Sync in Battlefield 5! Below, we'll walk you through the steps needed to disable V-Sync in PC copies of Battlefield 5. As stated above, your FPS will be capped when V-Sync is enabled for Battlefield 5 on PC. To uncap your FPS, you’ll need to find and disable V-Sync in the game’s Options menu. You’ll also need to tweak other settings to ensure you’re getting the best Battlefield 5 experience on PC. Below, we’ve listed the steps you’ll need to follow in order to disable V-Sync and uncap your FPS in Battlefield 5. Load up Battlefield 5 on PC, then open the Options menu. In the Options menu, click on the Video menu. Select “Advanced” at the top of your screen. Adjust Graphics Quality from AUTO to your desired setting. Switch Vertical Sync from On to Off. Adjust the Framerate Limiter to your desired setting. Save your settings changes, then exit the Options menu. If you have a freshly built, powerful gaming PC, you’ll likely want to set all of your settings to “Max.” If you’re unsure of what your system can handle, you can set things to low or mid-range and then increase until you find what works best for you. By adjusting settings like V-Sync, you’ll be able to improve your overall Battlefield 5 experience on PC. So, were you able to uncap your FPS by disabling V-Sync? Did you adjust any other settings before starting up Battlefield 5 on PC? Let us know down in the comments below! For more on Battlefield 5, be sure to check out some of our previous guides including the best ways to earn Company Coins in Battlefield 5, and how to unlock vehicles in Battlefield 5 multiplayer. By reading through this guide, you should now know how to disable V-Sync and uncap your FPS in Battlefield 5 for PC.